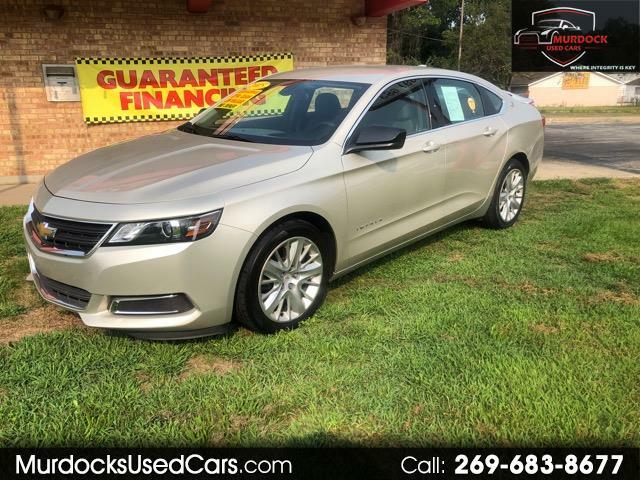 Used 2015 Chevrolet Impala LS for Sale in Niles MI 49120 Murdock Used Cars Inc.
2015 Chevy Impala LS,clean car fax, no accidents, non-smoker, low miles,navigation, power seat,dual rear side airbags,dual airbags front,head and side,active seat belts, echo tech motor, only 42,500 miles, really super nice, new body impala. Guaranteed Financing. comes with a zero deductible warranty, qualifies for zero deductible factory type bumper to bumper warranty.